Lord Falconer’s unsuccessful ‘Assisted Dying Bill’ is old news, but the debate on the controversial issue resurfaced last week when peers discussed the implications of a Supreme Court decision in the case of R (Nicklinson) v Ministry of Justice  UKSC 38. The issues in the case centered on whether the prohibition on assisted suicide in the Suicide Act 1961 was compatible with the appellant’s right to respect for private and family life (Article 8 ECHR). The Supreme Court dismissed the appeal and said although the courts could decide the question of compatibility, it wasn’t right for them to do so. 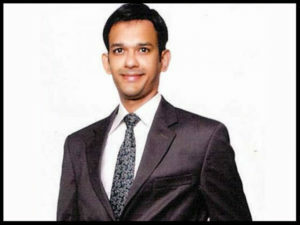 British lawyer and NSO Deputy Director Jas Uppal has been a leading campaigner in the case of missing Indian national Hamid Nehal Ansari, who has been unlawfully detained by Pakistani authorities. The case began when 28-year-old Mr Ansari, an MBA graduate who taught at the Mumbai Management College, traveled to Pakistan looking for opportunities. According to reports Mr Ansari had befriended a Kohat-based woman through social media and had crossed over into Pakistan. He had been staying in a hotel in Kohat, when on November 12 2012; police along with officials from the Intelligence Bureau arrested him. This is not the first time Indian or Pakistani authorities have arrested citizens of each other’s countries under the pretext of ‘spying’ allegations. Ms Uppal has raised Ansari’s case at the highest level, and in 2014 made personal representations before the UN on the matter. She is optimistic that Ansari will be released and repatriated back to India. Ms Uppal said: “Hamid was naive to cross the border into Pakistan without the valid supporting travel documents; indeed his actions were illegal. However, Hamid was arbitrarily detained without trial in excess of three years during which time, the Pakistani authorities failed to notify the Indian authorities that they are holding their national as they required to do so under international law, Conventions and protocols. Mrs Ansari said, “It’s not that he is alone in pain and suffering the punishment of loosing his freedom, but the entire family is in trauma.” She told the NSO her family have been living in despair for the last four years, with a hope they will see their son again. So far she has been unable to obtain a visa to travel to Pakistan. Earlier this year a 24-year-old Pakistani journalist Zeenat Shahzadi who had been working on the Ansari case was abducted. Human Rights groups and her family accuse Pakistan’s security agencies for her disappearance. ‘Nor is the people’s judgement always true, the Most may err as grossly as the Few’. Many on the ‘remain’ side of the referendum may feel this speaks to them. While both sides agree that the democratic decision must be respected no matter how close the result. The incoming Prime Minister Theresa May has already pledged to respect the decision to leave as she begins the task of steering the country through uncertain times, as for the first time in many years we are now forced to look afresh at basic questions of identity, sovereignty and aspirations, in our relations with Europe and the rest of the world. It’s a sad aspect of human nature that sometimes the easiest way in getting someone on our side in discussion or debate is to find someone else we can blame for all our problems. In the 50s and 60s it was people from the Commonwealth. In recent debate we have heard unhelpful nasty language about immigrants and refugees which has led to a rise in hate crimes. It all reminds me of what I call Indarjit’s law: that when two or more people can find sufficient in common to call themselves ‘us’, they will immediately look for a ‘them’ to despise; to strengthen their new found unity. We see it in rivalry between football fans but in its extreme form, it can lead to horrors like the holocaust and more recent genocides. In the India of the 15th century, Guru Nanak witnessed unnecessary divisions in the religions around him and stressed the importance of recognising common beliefs and aspirations. Guru Arjan, the fifth Guru, took this emphasis on commonalities further by incorporated some verses of Hindu and Muslim saints into our scriptures, the Guru Granth Sahib, to emphasise common ethical teachings, while the ninth Guru, Guru Tegh Bahadhur gave his life defending the right of all people to freedom of belief of all people. My hope is that later today when Theresa May assumes office as Prime Minister, she will similarly use her considerable experience to focus on commonalities like the pursuit of social justice and respect for the rights and beliefs of others, as she leads the country to a new future. In the recent media coverage of the bravery of those killed on the battlefields of WW1, I was particularly moved by a piece in the Times by Daniel Finkelstein about the courage of both his paternal and maternal grandfathers. Both regarded themselves as intensely patriotic and both were decorated for their heroism. However, they were on the German side of the conflict. Courage can be found in both friend and foe, and patriotism is entirely subjective. While it is right and proper to honour the memory of those who gave their lives for their country, we will never learn from history if we fail to reflect on its lessons. This thought was in the mind of the Queen’s grandfather, King George V as he looked on rows and rows of endless graves in Flanders and commented that ‘we will have failed to honour the memories of those who gave their all, if we allow such slaughter to ever occur again’ Later generations, with the advantage of hindsight, need to ask, questions like did the war advance the cause of peace and social justice in Europe or elsewhere? And did the punitive reparations demanded of Germany in any way contribute to the rise of Adolf Hitler? Today, with the publication of the long delayed Chilcot inquiry into the 2003 war in Iraq there will also be similar questions and inevitable recriminations. 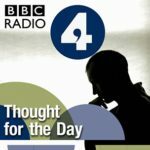 What is beyond dispute, is that the long suffering people of Iraq are – as we saw in the weekend terrorist outrage in a shopping Mall in Bagdad and the death of many innocent people – still far from hoped for peace and true democracy. I was recently invited to the formal unveiling of a beautifully illustrated short prayer included in prayers said before the start of formal proceedings in the Lords. It reminds Parliamentarians, of a responsibility to put ‘all selfish interests and partial affections’ to one side in all our deliberations. It is remarkably similar to the Sikh daily prayer the Ardas, that concludes Sikh services in gurdwaras, and closes with the words ‘sarbat ka bhala’ – a pledge to work for the greater good of all. Such sentiments should be central to all debate and political decision making, in helping us to reflect objectively on the past, and work together towards a better future. Research: What does faith mean to your charity? Did you know that there are over 49,000 faith-based charities in Great Britain—27% of the whole charity sector. As such a large part of the sector, and with a combined income of over £16 billion, research into faith-based charities has never been more relevant. We need to better understand faith-based charities if we want a vibrant and thriving voluntary sector. NPC’s research programme—A Question of Faith—explores how faith affects how charities operate, as well as the benefits and challenges of being a faith-based charity. NPC’s work has found over 360 Sikh charities in Great Britain and they want to hear about the role faith plays in your charity. Your thoughts will be crucial in developing a better understanding about the contribution Sikh charities make to our society. The NPC have informed us that they have undertaken research on 362 Sikh charities in Great Britain and discovered that they receive a combined income of £61million. If you would like to help with this research please get in touch with Rachel at Rachel.Wharton@thinkNPC.org. 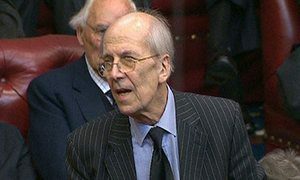 Lord Tebbit has expressed his admiration for Sikhs in a debate in which he said the community had demonstrated “great loyalty” to Britain. 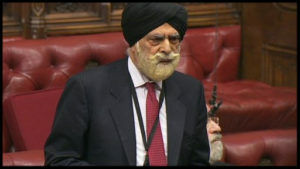 He went on: “We should all remember that there are very few places where one can feel safer in the face of extremism in this country than in the company of a large number of Sikhs, who have always shown by their great loyalty and understanding of this society that they have their place here”. Lord Tebbit’s comments follow a question tabled by Lord Singh, asking the government for more clarity on the meaning of words in the battle against extremism. Minister Lord Ahmad responded describing the Prevent programme, and efforts to train front line staff in spotting “signs of radicalisation”. He said the government had published its counter extremism strategy and was working with communities to tackle the threat of extremism. Lord Singh responded: “I thank the Minister for the reply explaining the Government’s position. However, for years we have had a Prevent programme, as he mentioned, without clearly defining what we are trying to prevent. Words such as “radical”, “deradicalise”, “fundamentalist” and “extremist” are totally devoid of meaning, while the terms “political Islam” and “Islamist” are considered by many Muslims to be derogatory to Islam. This week Peers debated steps being taken by the government to tackle anti-Semitism in University campuses. Minister Baroness Evans of Bowes Park stressed the “clear responsibility” under the Equality Act 2010 for students to be able to learn in a “safe and inclusive” environment. 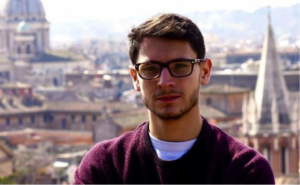 The debate follows reports of Jewish student, Zachary Confino who received an apology and payment of £1,000 from the University of York Students’ Union after complaining of anti-Semitism. Universities UK have established a task force, which will be reporting back in autumn on the issue of harassment on campus. The Minister made it clear that tackling anti-Semitism in Universities is a government priority. The NSO takes the view that whilst takling anti-Semitism head on, the government should also make provision to address hates crimes affecting all communities.